So a couple of weeks ago I was up in Nottingham representing NDCS at the UK Youth Parliament Annual Conference - an opportunity for all members of UKYP to meet and attend various lectures, presentations and seminars. 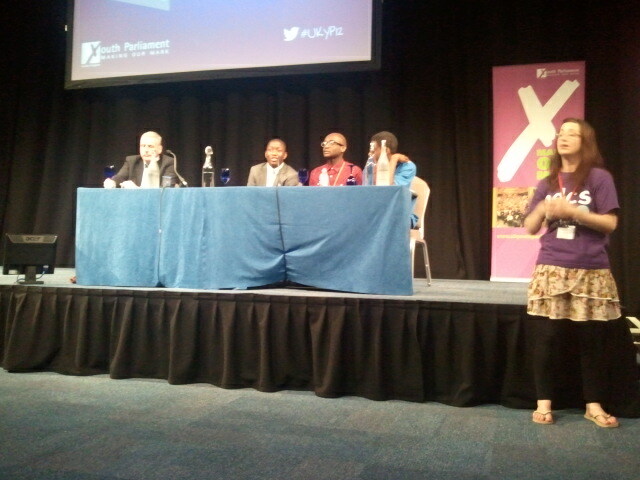 Its run very similarly to a real deal party conference with fringe events taking place as well. 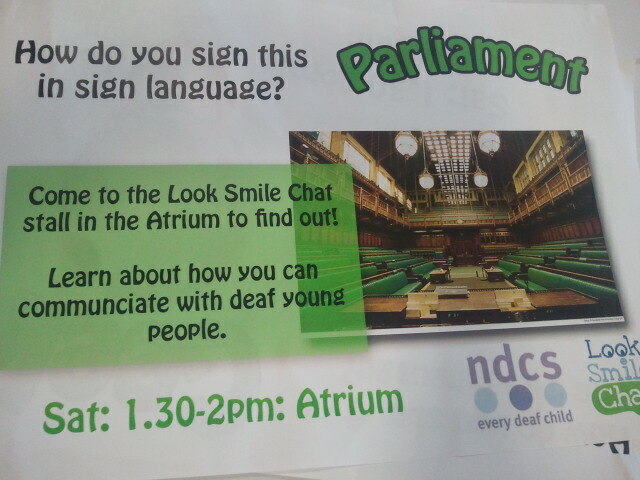 This year NDCS had managed to set up an information stall and get permission to run a half hour workshop about our Look Smile Chat campaign as well as playing a Look Smile Chat video to all UKYP members after lunch. 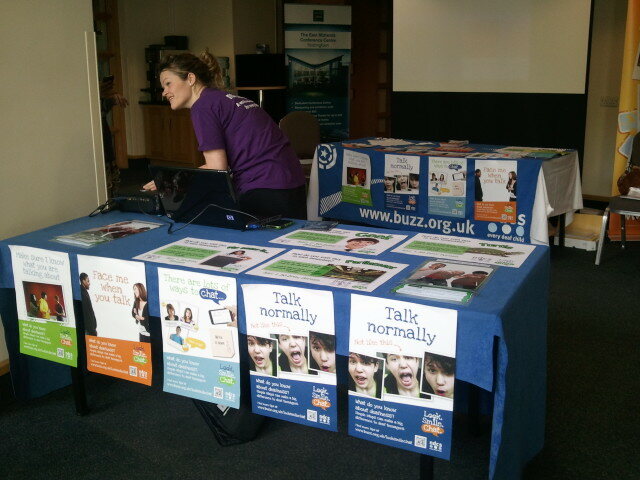 We arrived early in the morning to set up our stall with loads of information about NDCS, The Buzz, the YAB and our campaigns. 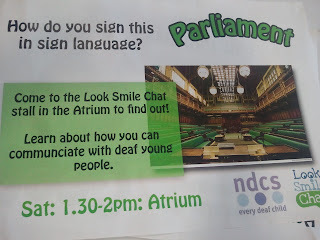 We also walked around sticking up posters advertising our lunchtime workshop and asking young people if the would be interested in learning some random signs. 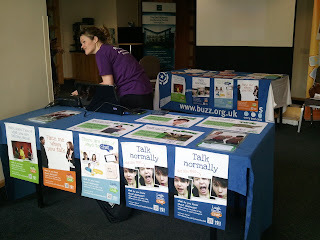 During the breaks between seminars I was amazed and so excited at the number of people dropping past our stall for a chat, to ask questions and to fill in our quizs etc. Everyone had a question and we were very happy to answer as many as we could and to teach some signs and point people in the direction of places they could learn BSL. I was set reading through some of the material in a quiet moment when I realised that the UKYP manifesto said in big letters that UKYP supports the teaching of sign language in mainstream schools alongside languages such as French and German. I started pointing this out to people dropping by the stall and was a little disappointed that none of them even knew this aim was in the manifesto... I talked to a few people about why it was so important to teach BSL in schools and explained about Signatures new GCSE in BSL. 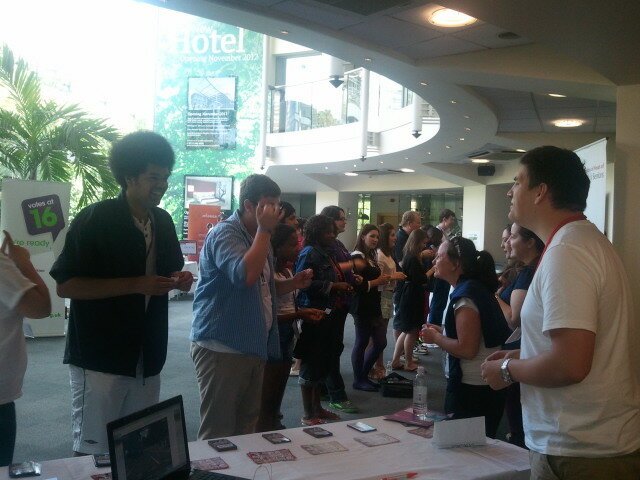 At lunchtime a large crowd of people crowded around our stall all very excited (I bet the other stalls were jealous!!) to begin a quick workshop. We decided to play a lip-reading game to show people how hard lip-reading is and to make them aware of the importance of good communication tactics such as facing people when you talk and speaking clearly. We pointed out to them that these skills transfer to everyday life, not just to when you meet a deaf person. It was really funny to see young people and adults struggling to lip-read words and phrases and resorting to amusing gestures in order to make themselves understood... I think they got the message we were trying to put across!! After that we talked for a bit about the difficulties of being a deaf young person in mainstream education, focusing on the lack of subtitles on educational videos. We played on of the Look Smile Chat Videos and we answered questions. 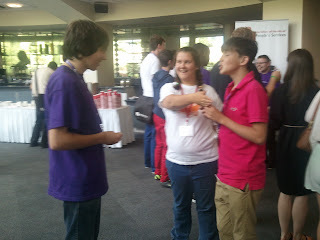 Finally we taught the group a few signs including parliament, geek, tortoise and whats your name? It was great to see how enthusiastic and motivated everyone was about the workshop and to realise that all the things they had learnt would be fed into their work in their local communities! In the afternoon we attended a seminar with an MP and two young men who worked in the media who were discussing the attitudes of the media to young people. I was able to ask them a question about how they thought young people with disabilities were portrayed in the media, and whether they believed their views were fairly represented.